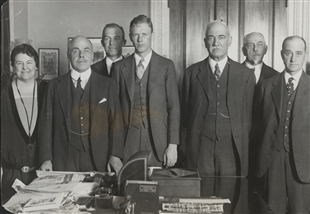 On October 7, 1929, British Prime Minister Ramsay MacDonald gave separate addresses to the House and Senate—the first time a British Prime Minister spoke to Congress. After speaking to the Senate, he strolled over to the House and was escorted onto the floor. 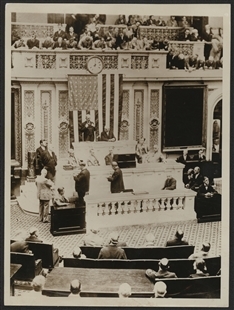 In his informal remarks there, MacDonald noted the similarities between the British and American legislative bodies and thanked the Members for the warm reception. 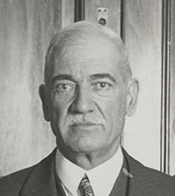 Majority Leader John Q. Tilson is seated to MacDonald's right.